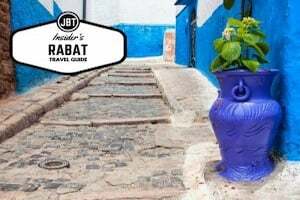 In parts one and two of our story unfolding saffron in Morocco we took you on a journey discovering Talouine, the city that is the heart of Moroccan saffron. From there we showcased the people behind the production and harvest of this precious crop. Today, you will see how saffron is separated and sold. Saffron farming truly is a labor of love that requires patience and accuracy – it is the most expensive spice in the world after all! Moroccoan cuisine is a tasty melting pot of different cultures with heavy influences from the Mediterranean, Arabic, Berber, and Andalusian cuisines. Its traditional dishes are a unique blend of spices, fresh vegetables and fruits and, of course, meat and fish. But that doesn’t mean that vegetarians will have a hard time in Morocco. Every culture has it’s version of fried dough, and Morocco is no different. You’ll find sfenj on street corners throughout the country. The dough itself is simple, a basic yeast dough but it is super sticky, making it a bit of a trick to master. Sfenj is prepared early in the mornings for breakfast or late in the afternoons for tea time and you’ll be hard pressed to find it anywhere in between those times! The story of saffron in Morocco is more than a story about Morocco’s saffron capital of Taliouine. It’s also about the process involved in harvesting saffron and the local farmers working to supply the world with one of its most sought-after spices. It’s not unusual for families with a plot of land to farm their own patch of saffron; the region’s ability to grow such an expensive and sought-after ingredient provides extra income which is not taken for granted. While saffron holds an undoubted prominence in the cuisine and culture of Morocco, it is also a commodity: a batch of stored saffron is as good (or better) than any investment. Planting, growing, harvesting, and selling saffron is seen as a blessing by all. Taliouine, the heart of Morocco’s saffron producing region, lies south of Marrakesh and east of Taroudant. The city itself is small – just under 6,000 people – but produces more saffron than any other place in Africa. Every November, a festival is held at harvest time and people from around the world come to watch and celebrate. While the best way to experience this is by visiting, we will give you an inside glimpse through this photo essay. There are some Moroccan foods (like Sfa) that are so good, you’ll never find them on a restaurant menu. Rfissa is one of those dishes. The simple ingredients of chicken and lentils are elevated with the inclusion of spices and a slow cooking time – until everything is falling apart, delicious. 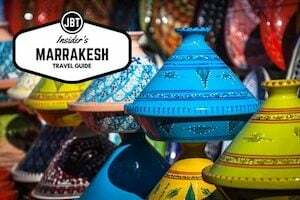 If you’re looking for a paradise for senses, omnipresent scents, loud voices, honking cars, rainbow-colored, aromatic spices and intensive oil perfumes like from the 1000 and One Nights, Morocco is definitely a destination for you. 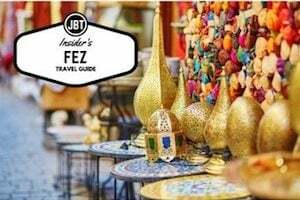 If you’re a foodie seeking culinary ecstasy, love spicy meat, fluffy bread, and sweet sticky pastries Morocco will undoubtedly meet your expectations. 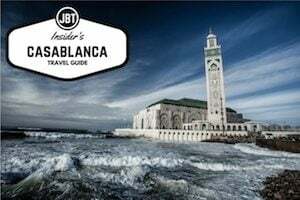 Having lived in Casablanca for over half a year, I’ve got a collection of spots which offer mouth-watering, pocket-friendly cuisine. 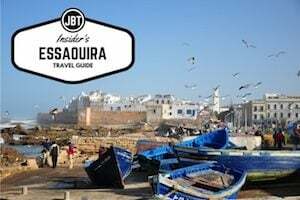 Here are my “must-visit” places and insight on what to eat in Casablanca. 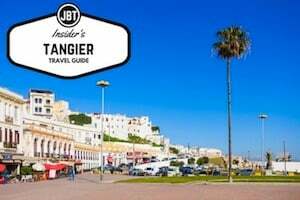 While Morocco is justifiably famous for breathtaking scenery, Islamic architecture and a rich history of arts and crafts, the country truly stands out as a paradise for foodies. Diverse peoples, including Berbers, Arabs, Sephardic Jews and Muslims from Andalusia, and Spanish and French colonizers, brought their own culinary traditions and ingredients to the kitchen. This is combined with the marvelous variety of foodstuffs produced in the country´s different regions. The quality of beef and lamb in Morocco is outstanding. Fish is popular, especially in port cities, and there is an astonishing array of fruits and vegetables. Few people outside of cities have clocks in Morocco, instead scheduling their days around the five calls to prayer and the five daily meals. Yes, there are five. Breakfast comes early in the morning, followed by a second breakfast at mid-morning. Lunch is served at midday, and in the late afternoon there is a break for tea and bread. Finally, dinner is served in the late evening.